Due to the adverse weather conditions this weekend no work was done of the layout. 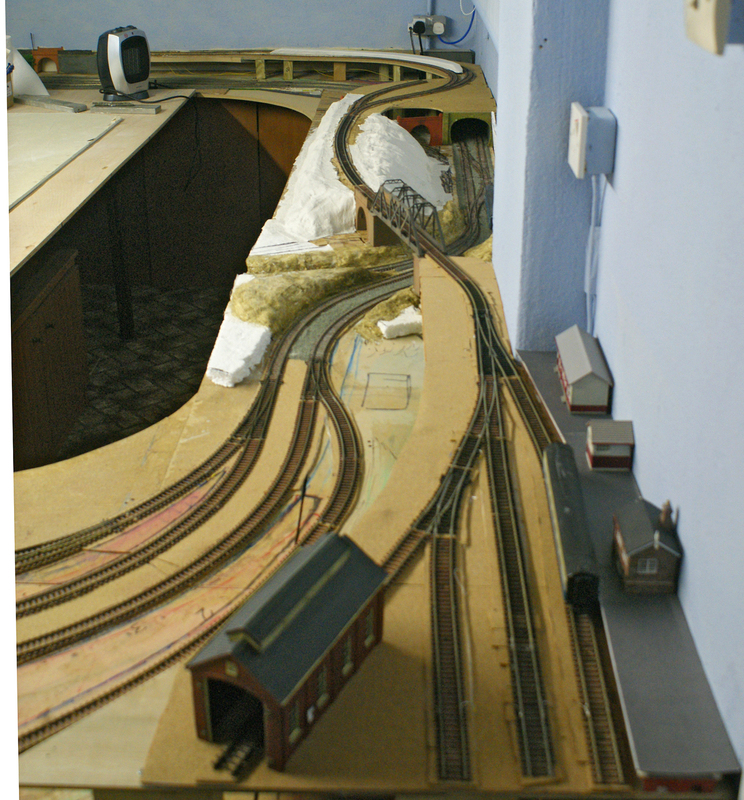 However, before the snow came, we had made some progresss on creating the embankment for the branch line as well as laying the platform surface of the newly located Lake End station. 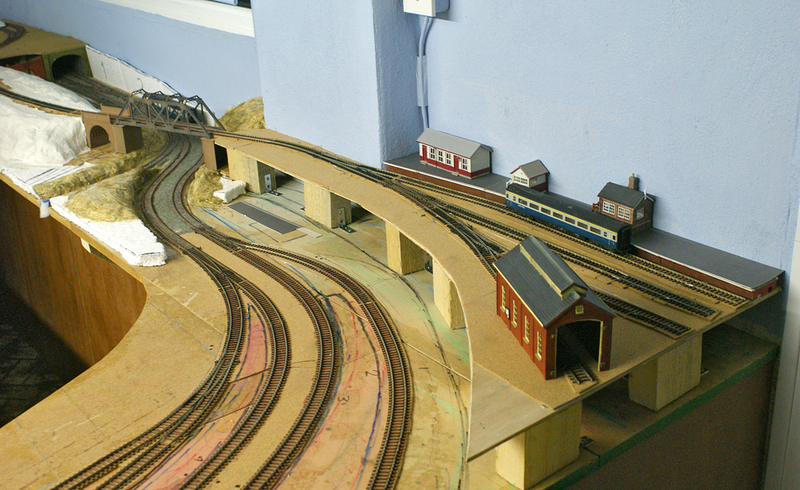 You will see that this station has also acquired a small, single road, engine shed for storing the tank engine that will work the line. This shed was by Scenix (Catalogue EM6102) rather than by Hornby or Bachmann, and is ideal for what we wanted. Hopefully the weather will have improved by next weekend and this will allow us to continue with the embankment. The next job will be to give it a coat of earth wash because, at the moment, it looks as if it has been affected by the recent snowfall! Once the structure of the embankment is in place we will turn our attention to construction the platforms at both Davemoor and Anchwood. Anchwood marks the interchange between BR and the steam railway and will just be a single, curved platform while Davemoor is going to be quite extensive with lengthy and complex platform faces.